We manufacturer & supplier of chimney for reheating furnace , induction furnace, boiler chimney, rotary furnace. 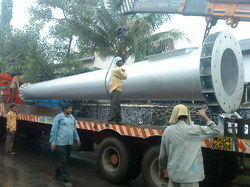 We are engaged in offering Self Supported Chimney. 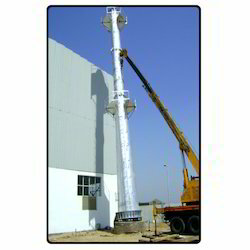 We are among the leading manufacturers and suppliers of Self Support Chimney. These products are tested as per the international standards of quality by our team of skilled and trained professionals. We also customize these products as per the requirements and specifications of the clients. Being a customer oriented organization, we are deeply engaged in offering a wide array of Mild Steel Chimney.